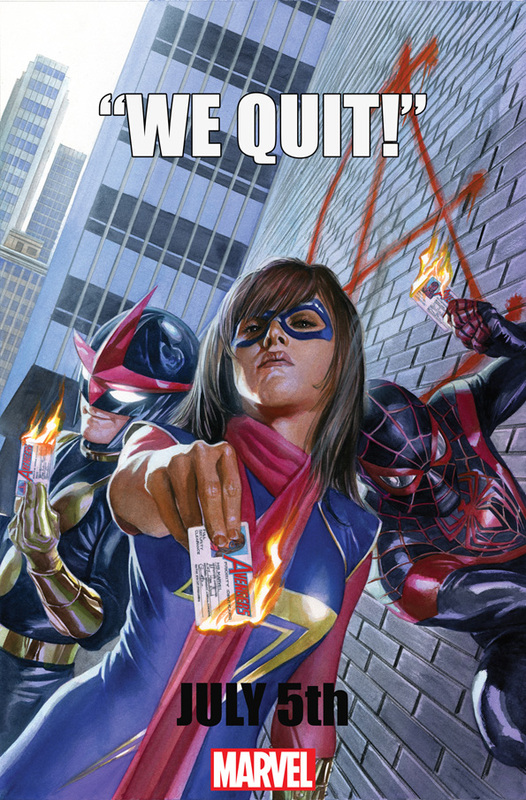 06/29/16 Marvel's "We Quit!" Image Released! 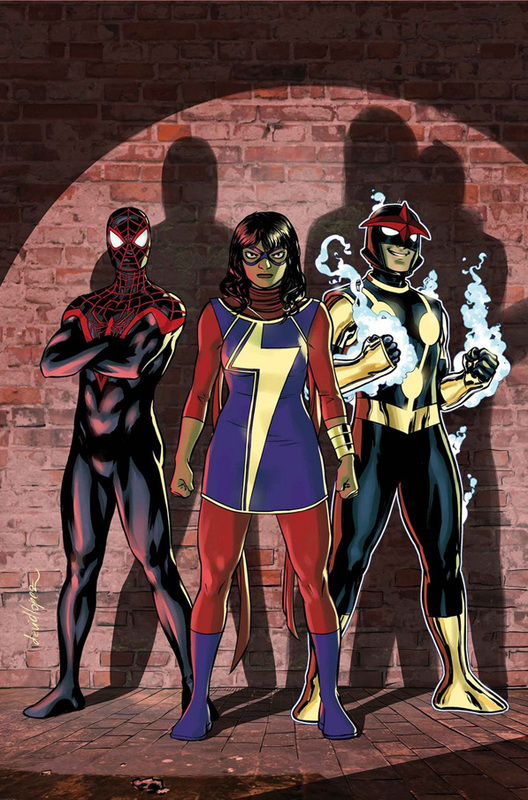 Marvel released an image featuring Nova, Ms. Marvel and Spider-Man as they appear to quit the All-New, All-Different Avengers! The only information available with the image was the date July 5th and the words "We Quit!" 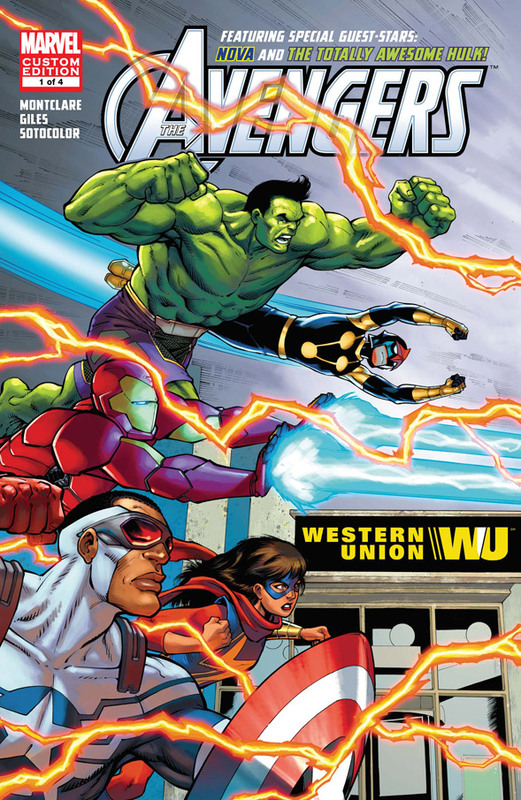 06/21/16 Western Union's Custom Avengers Comics! Marvel has again teamed up with Western Union to produce custom comics featuring the Avengers. 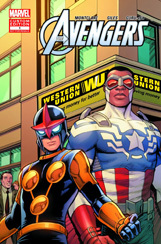 The comics promote the Western Union company and racial diversity in comics. The 2016 edition is a four-part mini-series. 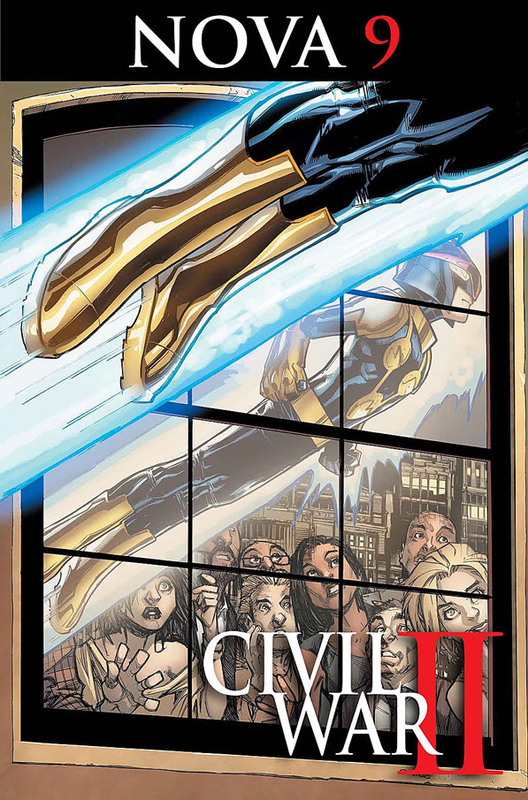 The series is written by Brandon Montclare with art by JL Giles-Rivera and Tom Grummett. The 2015 edition (released at 2015's SDCC and pictured right) had been a standalone issue. 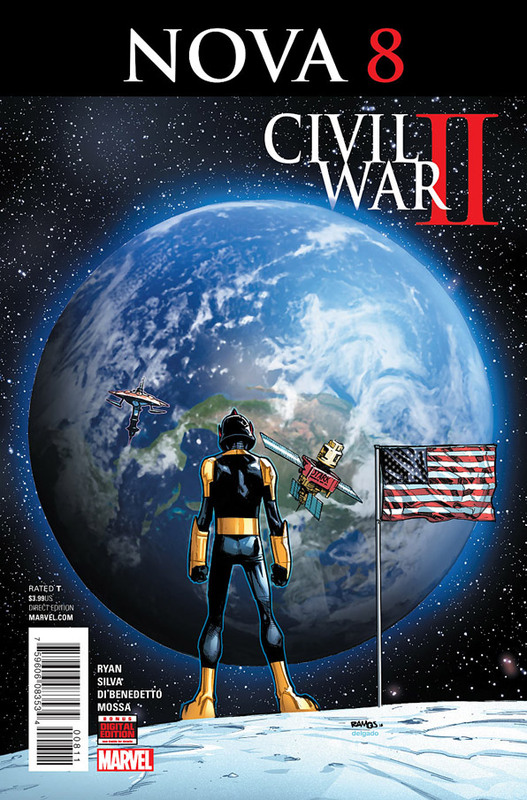 Issue #1 was released digitally on June 16th. 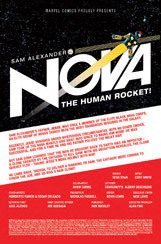 Sam Alexander has led a busy life as NOVA, but after all of his intergalactic gallivanting, is it time to hang up the helmet? 06/21/16 ANAD Avengers #14 Solicitation! 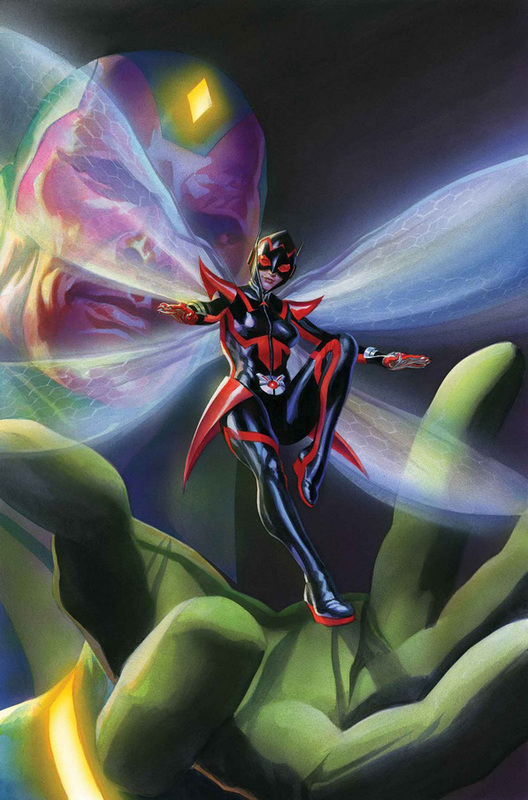 Spotlight on the All-New Wasp as she finds her loyalties torn by the war - and seeks guidance in the most unexpected place. 06/21/16 ANAD Avengers Vol. 2 TPB Solicitation! Captain America, Iron Man, Thor, Vision, Spider-Man, Ms. Marvel and Nova are the All-New, All-Different Avengers - but can they stay together long enough to be more than a footnote in the team's great history? 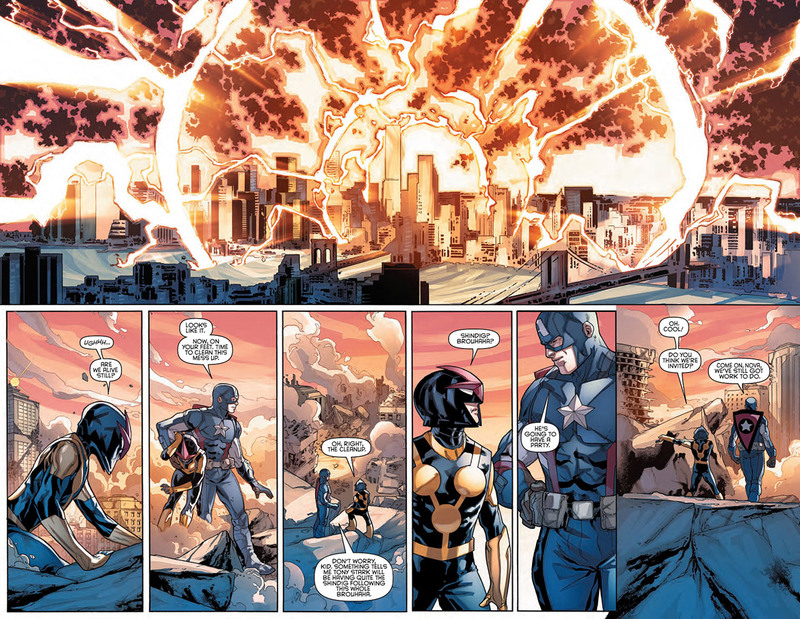 Maybe not, when the events of STANDOFF pit them against the Uncanny Avengers. Who will prove themselves the mightiest Avengers of all? And things get worse as the mysteries of Pleasant Hill deepen! Then, as the team joins Nova on an intergalactic quest, they'll find themselves in chains on the Stalag of Space! Plus: The Avengers must face someone new with an old name - one that goes all the way back to the beginning. Who is the All-Different Wasp? And is she friend or foe? 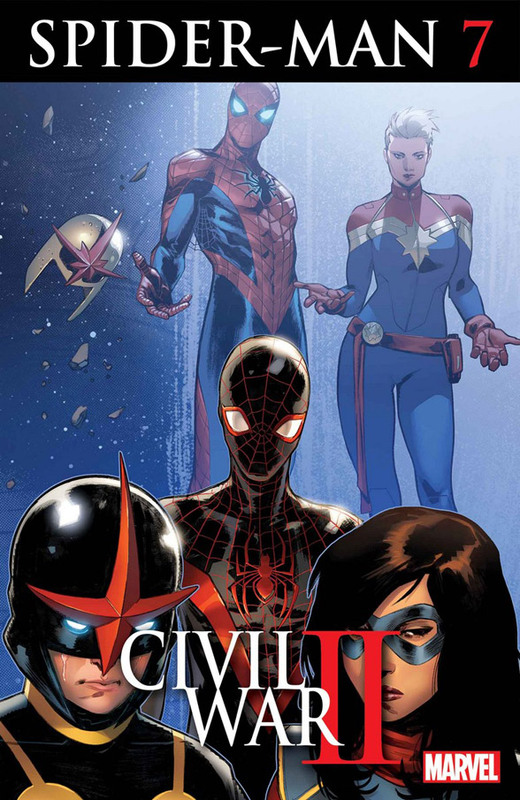 Collecting ALL-NEW, ALL-DIFFERENT AVENGERS #7-12 and material from FREE COMIC BOOK DAY 2016: CIVIL WAR II. All-New, All-Different Avengers #9 came in at #21 with a sales estimate of 52,296. Ms. Marvel #7 came in at #59 with a sales estimate of 29,840. 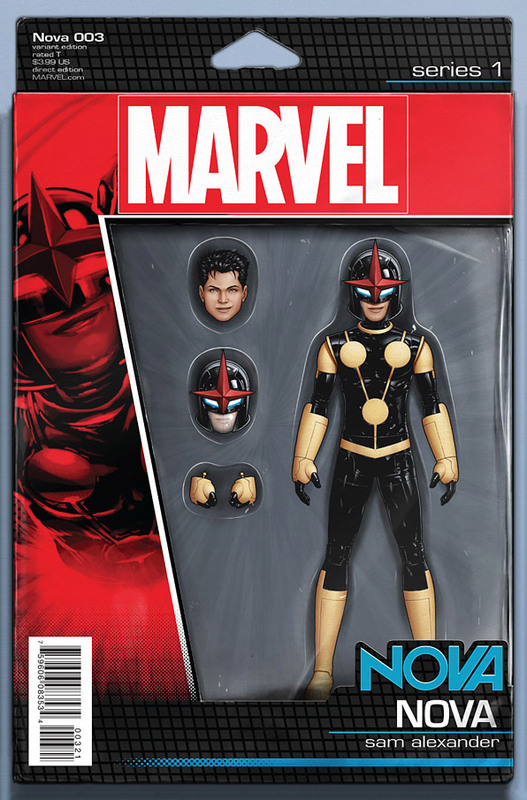 Nova #7 came in at #137 with a sales estimate of 15,377. 06/10/16 Nova #8 Covers & Preview Pages! 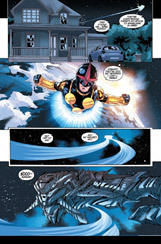 Marvel has released the covers and preview pages from Nova #8! 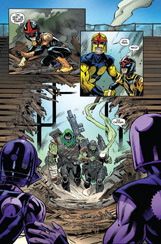 The issue is written by Sean Ryan with art by RB Silva. Nova #8 is scheduled to be released on June 15th. 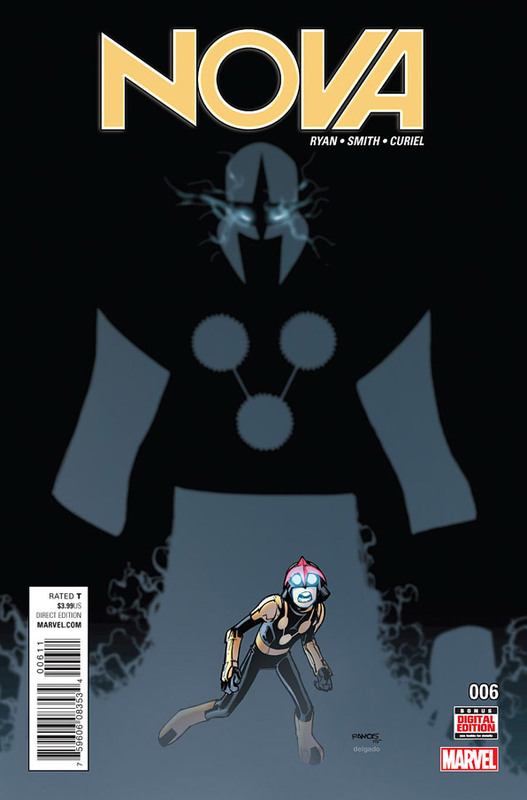 All-New, All-Different Avengers #8 came in at #30 with a sales estimate of 51,925. 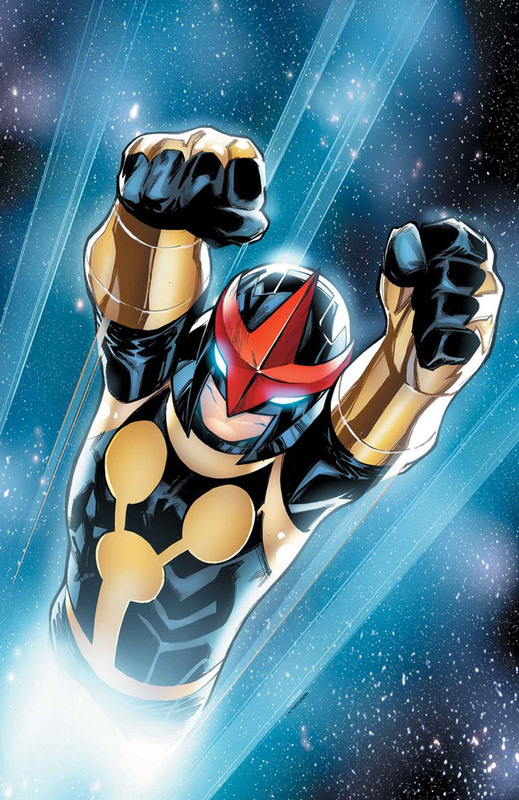 Nova #6 came in at #136 with a sales estimate of 15,795. 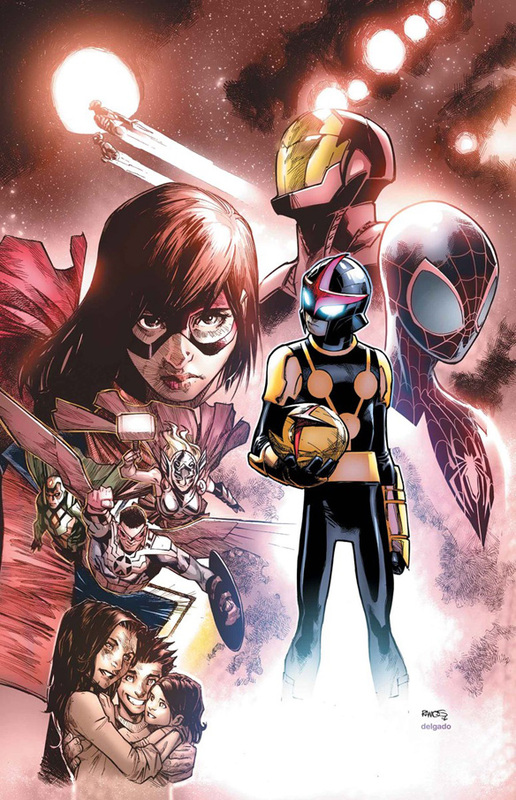 NOVA is one of the most powerful kids in the galaxy, but where does all of that power COME from? Looks like Sam's going to have to find some answers for himself. 05/18/16 ANAD Avengers #13 Solicitation! 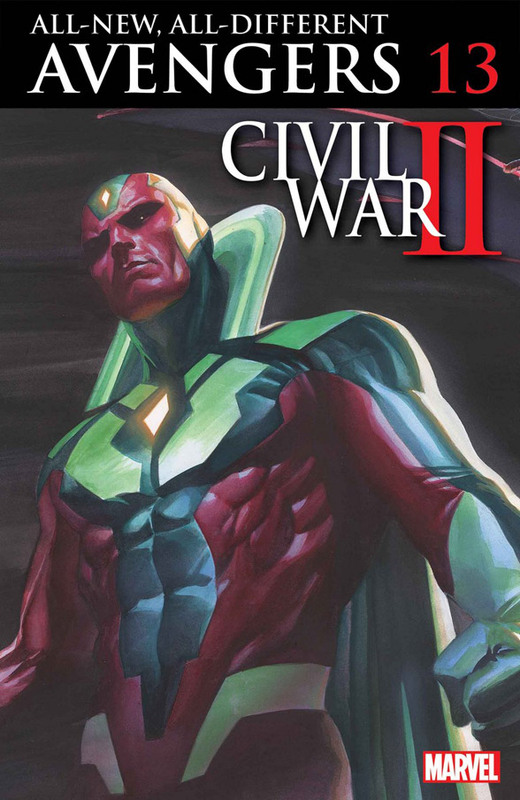 Convinced that he has chosen the right side in the war, the Vision undertakes a manhunt through time in order to stop one of Earth's greatest evils! 05/18/16 ANAD Avengers Annual #1 Solicitation! You've dreamed of it, you've asked for it, you've longed for it - and now, you're going to GET it! 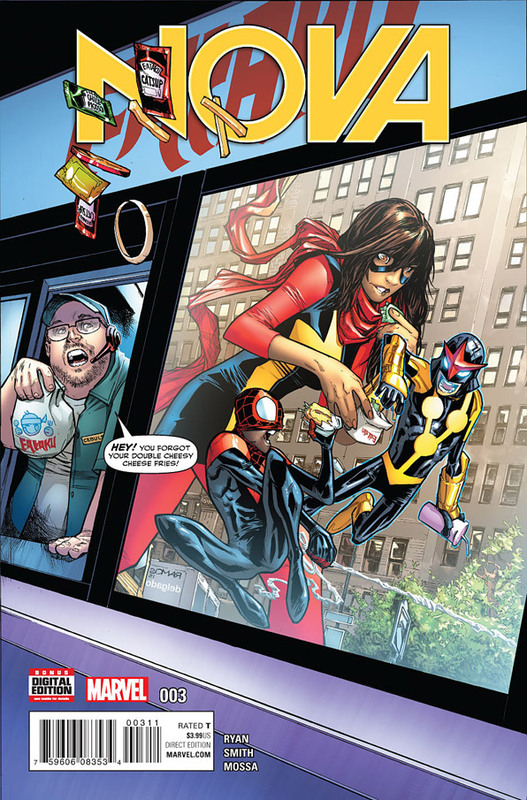 No Avenger is safe from - the fan fiction of Kamala Khan! Featuring a bevy of special guest creators! 05/18/16 AYOM: The Unstoppable #1 Solicitation! Sam Alexander's finding it hard to cope with the fact that his dad is M.I.A. in the far reaches of space. Luckily, this Father's Day, Nova's got the chance to help former New Warrior Midnight's Fire put his family back together. 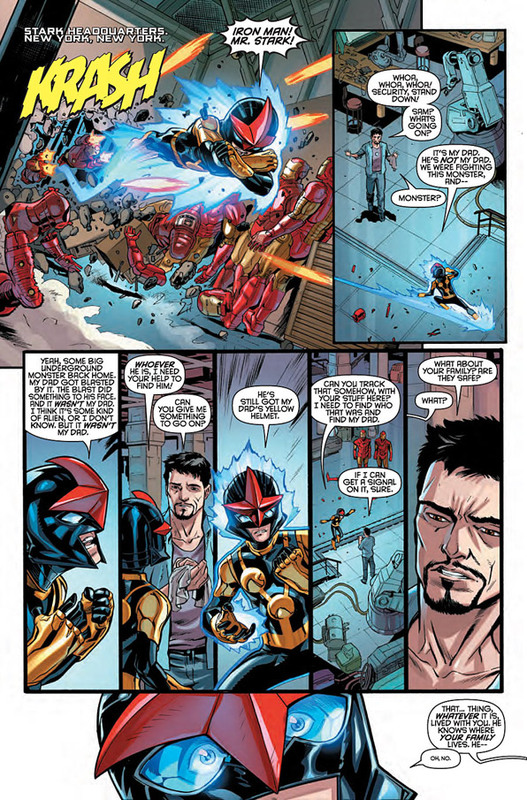 But when Iron Man shows up to inform his young teammate he's backing the wrong horse, will Nova cool his jets? Celebrating the Fourth of July is complicated enough for a patriotic symbol turned soviet assassin, but then Hydra agents had to go and rob the Winter Soldier's secret storage locker. Who sent them? What do they want? Bucky doesn't care - he just wants his #$%& back. Heritage is not always easy! 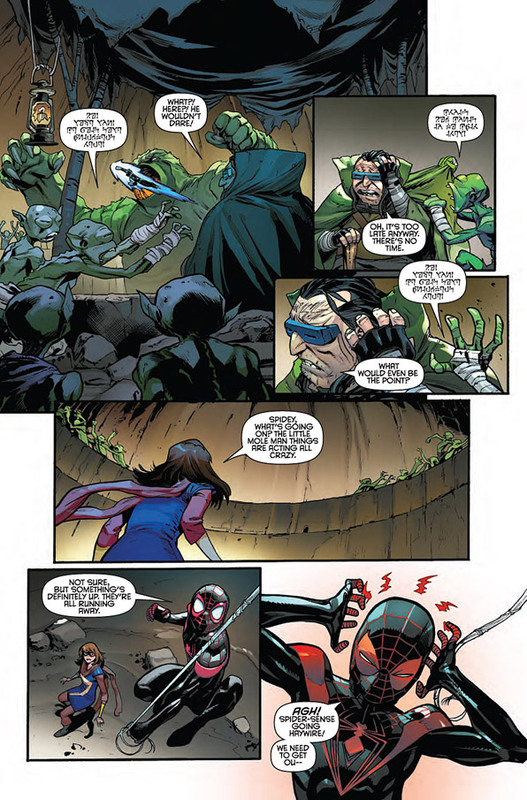 Miles Morales and his friends Nova and Ms. Marvel struggle with the biggest conflict in the Marvel U since they took up their mantles. Nova comes to New York! Stuck between two sides of a war he doesn't want to fight, Sam Alexander makes a tough choice. 04/29/16 ANAD Avengers #12 Solicitation! In chains, held captive millions of light-years from home, the Avengers are without salvation and without hope - unless they're willing to make some hard choices. 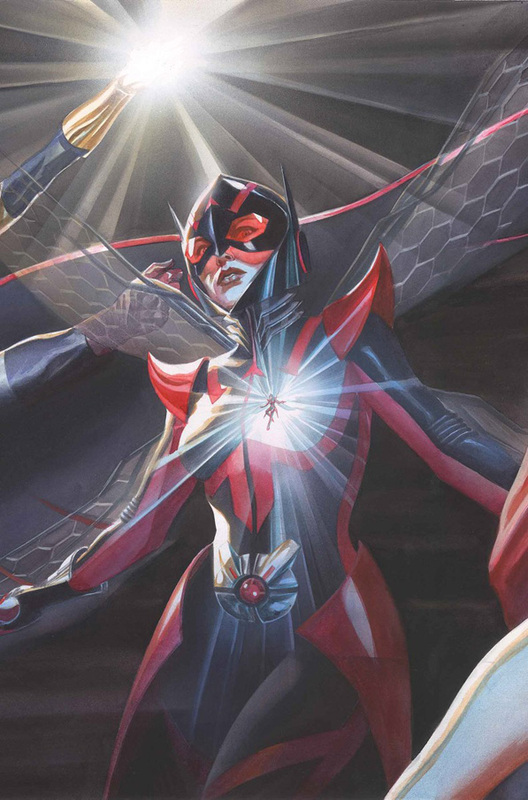 Plus: More on the new Wasp! 04/29/16 Nova #7 Cover & Preview Pages! 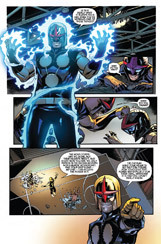 Marvel has released the cover and preview pages from Nova #7! 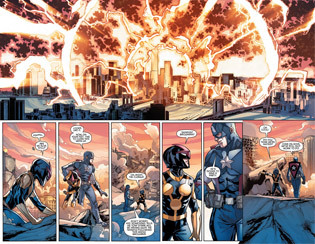 The issue is written by Sean Ryan with art by RB Silva. 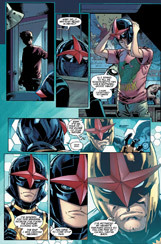 Nova #7 is scheduled to be released on May 4th. 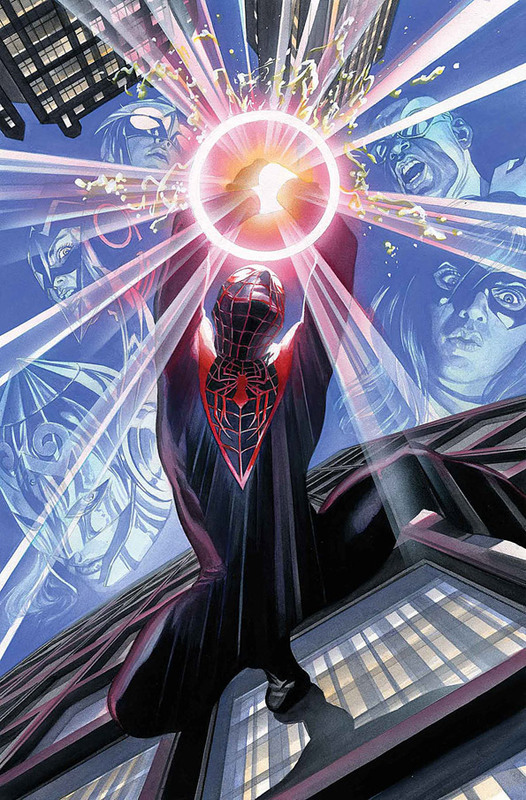 All-New, All-Different Avengers #7 came in at #22 with a sales estimate of 52,631. Nova #5 came in at #118 with a sales estimate of 16,886. 04/19/16 Nova #6 Cover & Preview Pages! Marvel has released the cover and preview pages from Nova #6! 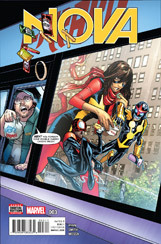 The issue is written by Sean Ryan with art by Cory Smith. Nova #6 is scheduled to be released on April 20th. 04/01/16 Hot Wheels Civil War II Nova Car! Hot Wheels has produced a series of cars in conjunction with the release of Marvel's Civil War II comic series! The Nova car is designed by Bryan Benedict and is #25 in the Hot Wheels series. 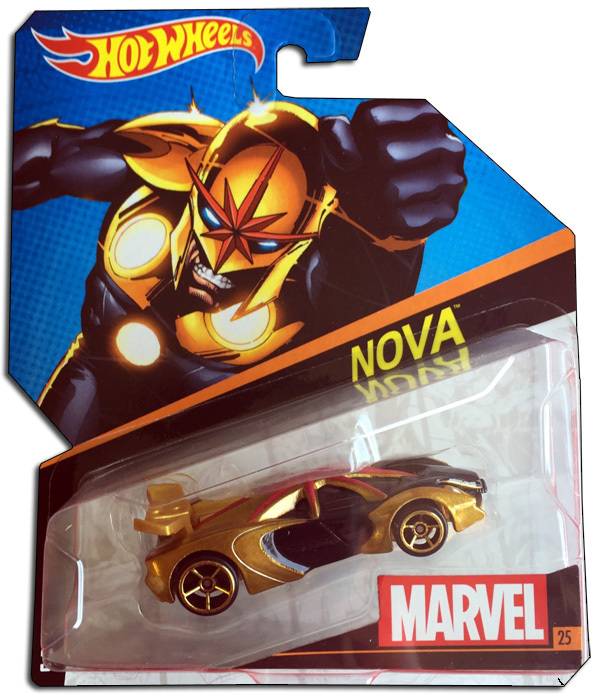 The packaging on the Hot Wheels Nova car features Rich Rider Nova! The car is currently available at certain outlets. Special thanks to Basil Christi and Michael Wright for the heads-up! 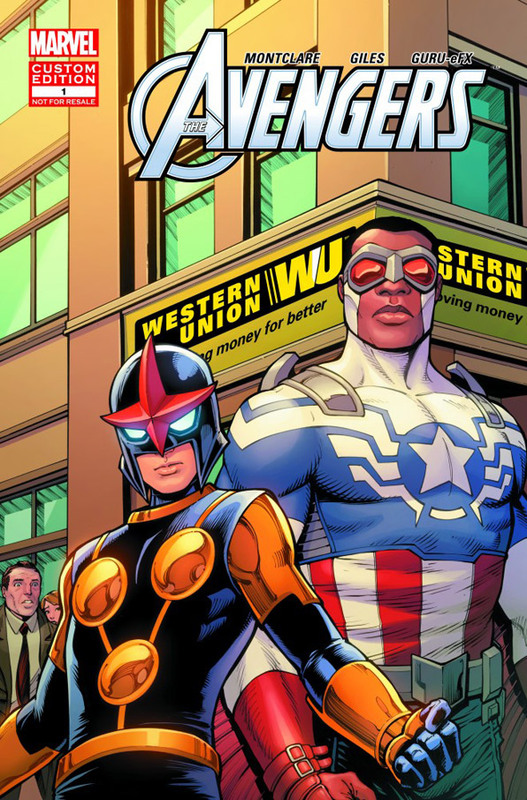 03/22/16 ANAD Avengers #10 & #11 Solicitations! The Search for Nova's father begins! The Avengers join Sam Alexander for a spacefaring mission to find Nova's lost father - only to find themselves trapped on a galactic prison planet! The Avengers - captives on the Stalag of Space! 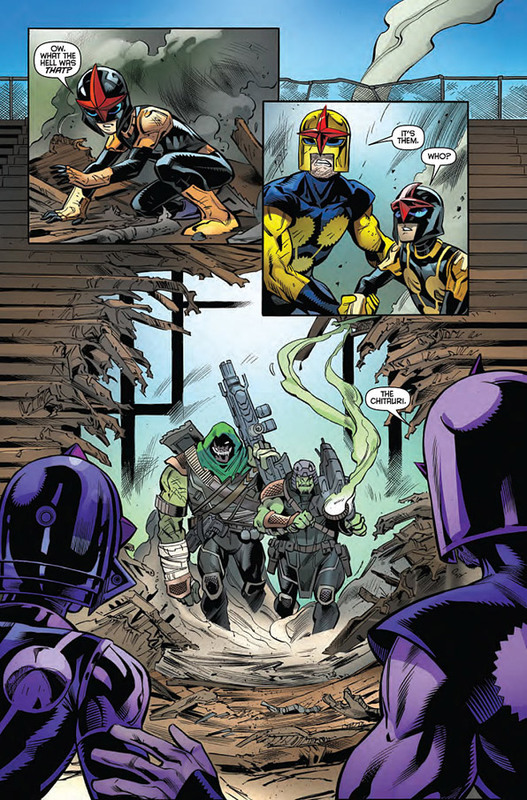 Its mysterious alien warden cannot be beaten by conventional means, but the Avengers' prison break will take them into an even more dangerous realm! 03/22/16 I/X: War of Kings Omnibus HC Solicitation! 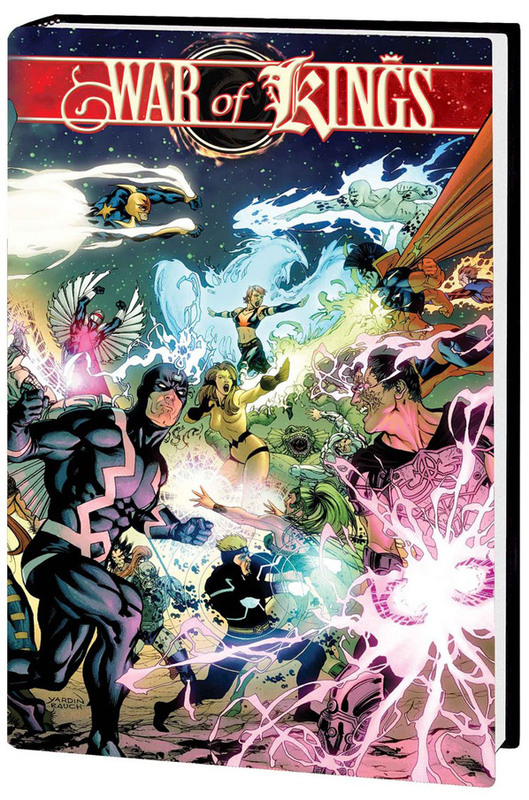 A cosmic epic connecting the Inhumans, X-Men and Guardians of the Galaxy! The Inhumans leave Earth and take their destined place as rulers of the Kree Empire! Meanwhile, Cyclops and Havok's power-mad brother, Vulcan, claims the Shi'ar Empire's throne, bringing the galaxy to the brink of destruction! 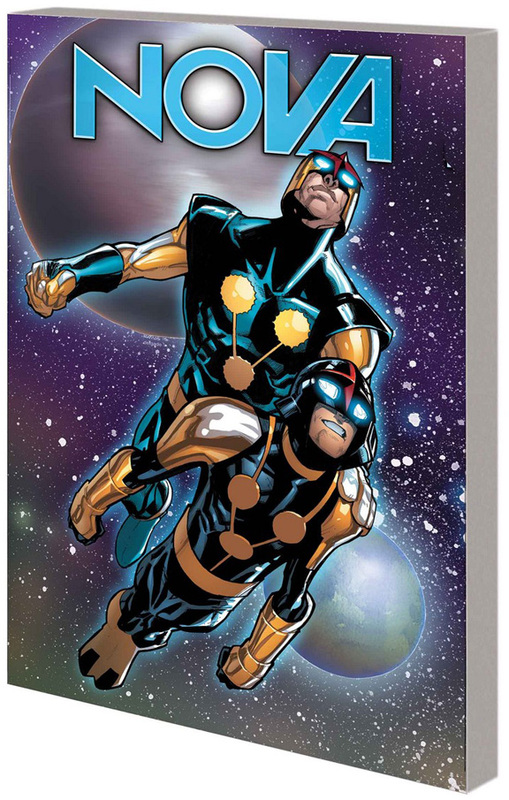 With the Nova Corps, Starjammers and Guardians caught in the middle, two empires make cosmic war - and the fallout might just tear the galaxy in half! Collecting UNCANNY X-MEN (1981) #475-486, X-MEN: EMPEROR VULCAN #1-5, SECRET INVASION: WAR OF KINGS, X-MEN: KINGBREAKER #1-4, WAR OF KINGS: DARKHAWK #1-2, WAR OF KINGS: WARRIORS #1-2, WAR OF KINGS #1-6, WAR OF KINGS: ASCENSION #1-4, WAR OF KINGS: SAVAGE WORLD OF SAKAAR and WHO WILL RULE?, NOVA (2007) #23-28, GUARDIANS OF THE GALAXY (2008) #13-19, MARVEL SPOTLIGHT: WAR OF KINGS and material from X-MEN: DIVIDED WE STAND #2. 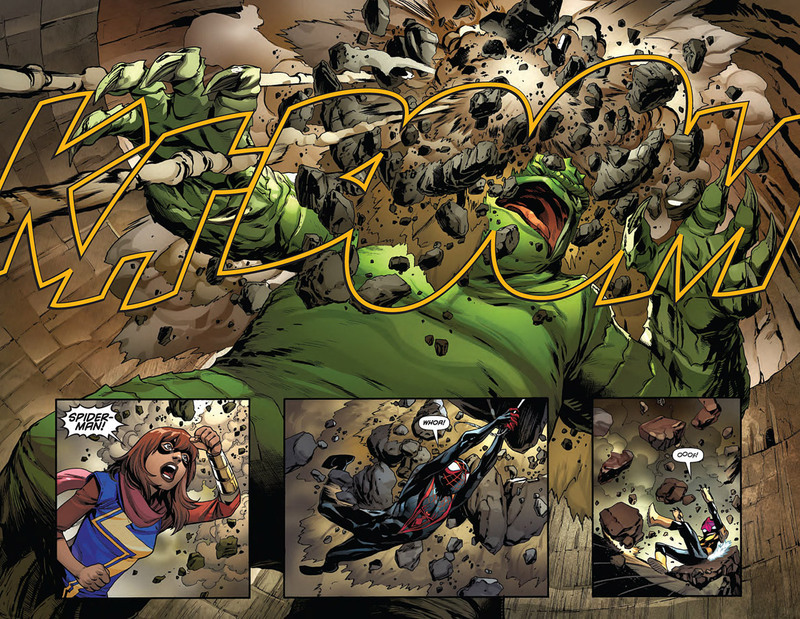 All-New, All-Different Avengers #5 came in at #20 with a sales estimate of 51,740. All-New, All-Different Avengers #6 came in at #25 with a sales estimate of 48,022. 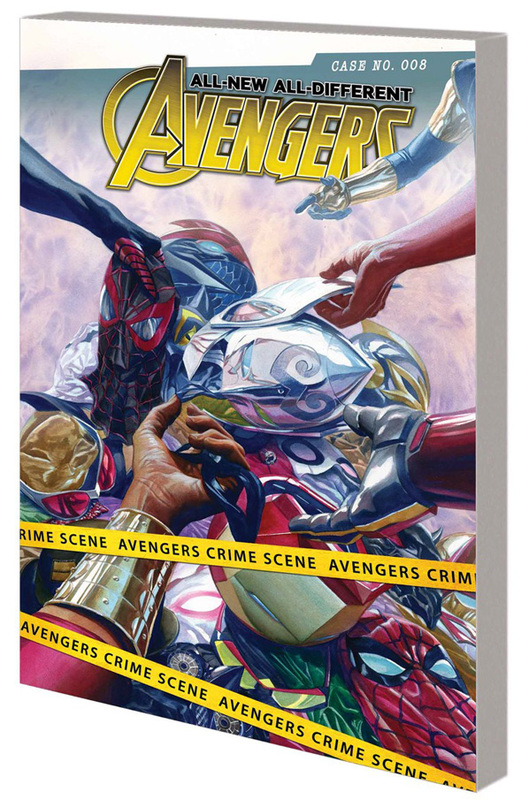 New Avengers #6 came in at #58 with a sales estimate of 31,188. Nova #4 came in at #120 with a sales estimate of 18,187. 02/27/16 Nova #5 Cover & Preview Pages! 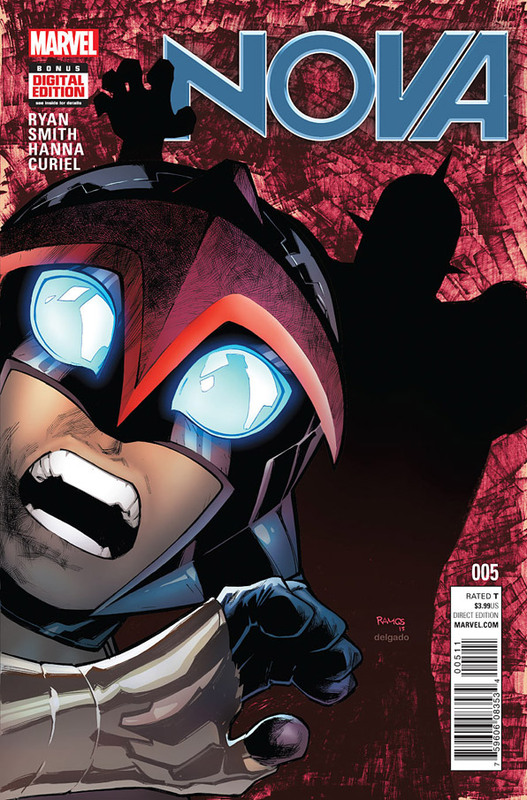 Marvel has released the cover and preview pages from Nova #5! 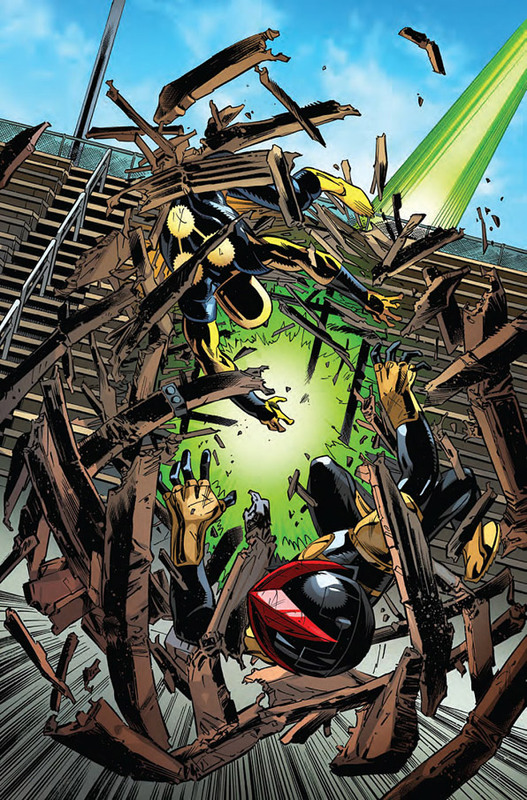 The issue is written by Sean Ryan with art by Cory Smith. Nova #5 is scheduled to be released on March 2nd. Nova's father is still missing, and his only clue to his old man's whereabouts blasted off into space last issue. Now, Sam is on the trail of a new mystery - one he'll need THE AVENGERS help to solve! Kicks off a story that will lead into AVENGERS #10! 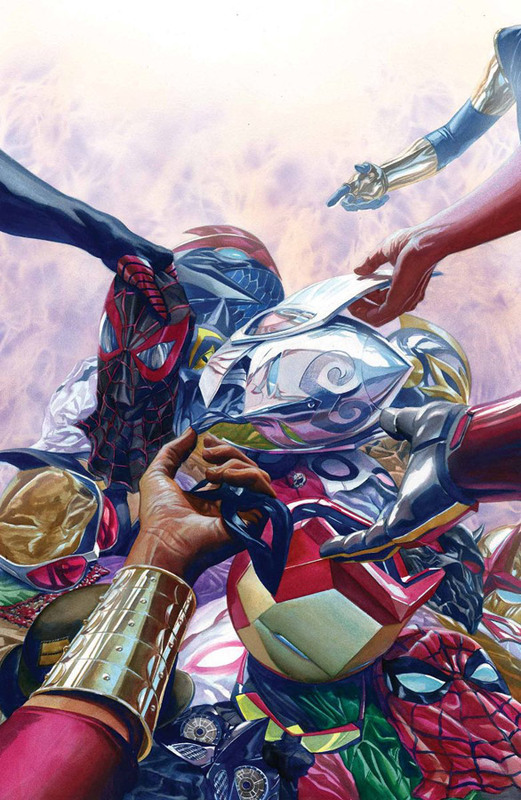 02/16/16 ANAD Avengers #9 Solicitation! Introducing the all-new Wasp! Who is she? What is she? And what does she intend to do about Earth's Mightiest Heroes? 02/16/16 Ms. Marvel #7 Solicitation! 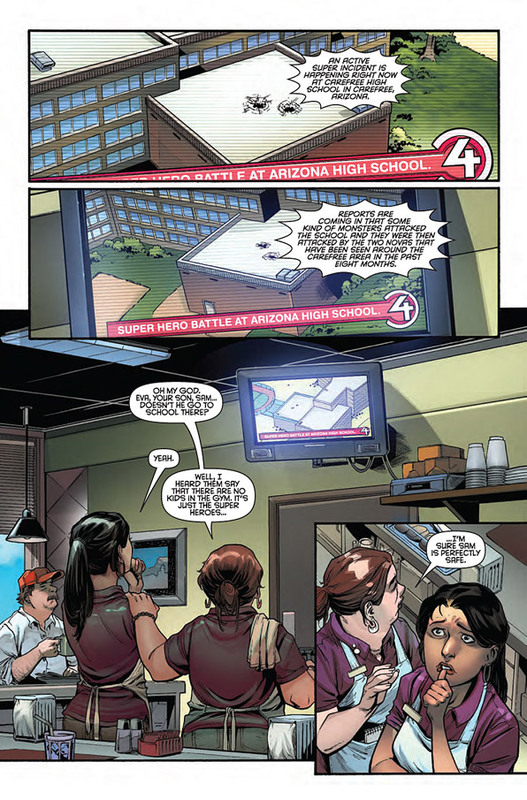 As civil war brews, Ms. Marvel teams up with Spider-Man and Nova in their biggest challenge yet: a tristate academic competition. But math isn't the only problem as tremors of war begin to surface. The best, brightest (and most adorable) heroes face off in the road to Marvel's biggest battle. Move over Iron Man, the kids got this. 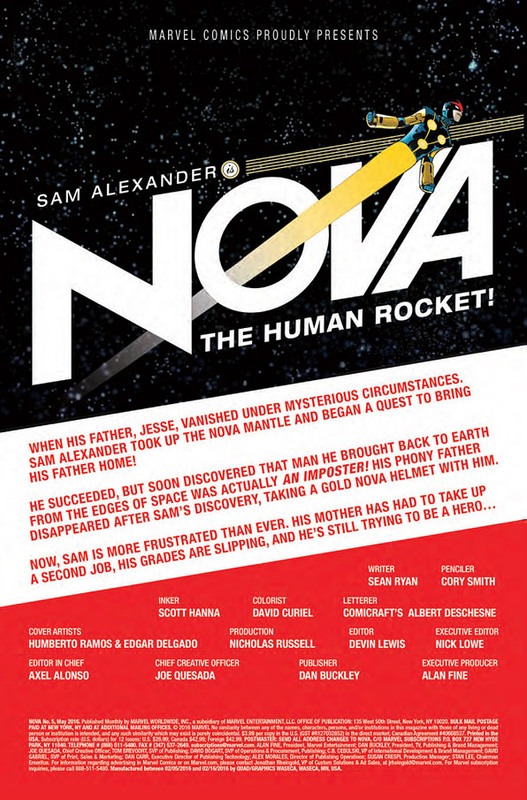 02/16/16 Nova: The Human Rocket TPB Solicitation! A tale of two Novas! Sam Alexander's missing father is finally back, and together they're making adventure a family business. But will it be everything Sam dreamed of? With their Nova helmets that enable them to fly and shoot energy beams, they're policing the Milky Way twice as well as before - and grabbing some dad-and-son catch-up time. What could be responsible for the catastrophic tremors? How about a giant, awful monster that only Nova can stop? Meanwhile, Sam is moonlighting on his own as an Avenger - could love be in the air among Earth's Mightiest Teenagers? But what sinister secret is the elder Alexander hiding, and how will Sam react when he finds out? 02/12/16 Knight Models Nova Minature! 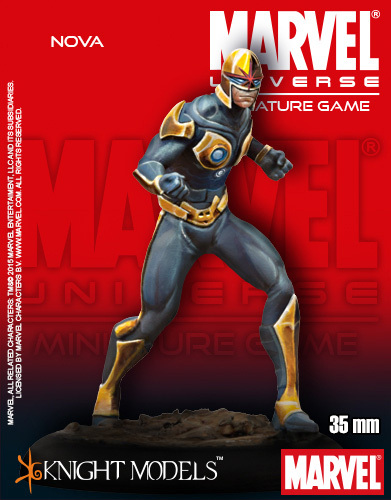 Knight Models is producing a Nova figure for its Marvel Universe Minature Game! The 35mm (about 1.4") is a white metal model kit that requires assembly and painting. 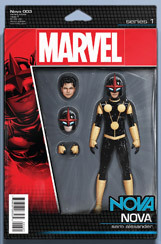 The Nova figure is scheduled to start shipping on February 24th and is available now for preorder. 02/11/16 ANAD Avengers #9 AoA Variant Cover! Marvel has released a look at the Age of Apocalpse variant cover for All-New, All-Different Avengers #9! 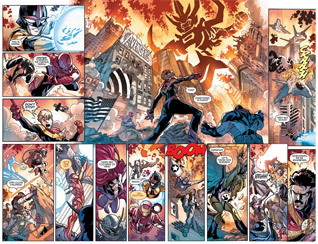 The cover is to help promote the APOCALYPSE WARS stories taking place in the X-Men titles and show Marvel heroes reimagined in the style of Age of Apocalypse. 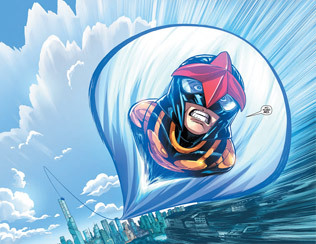 The ANAD #9 cover art is by Khoi Pham & Frank D'Armata. 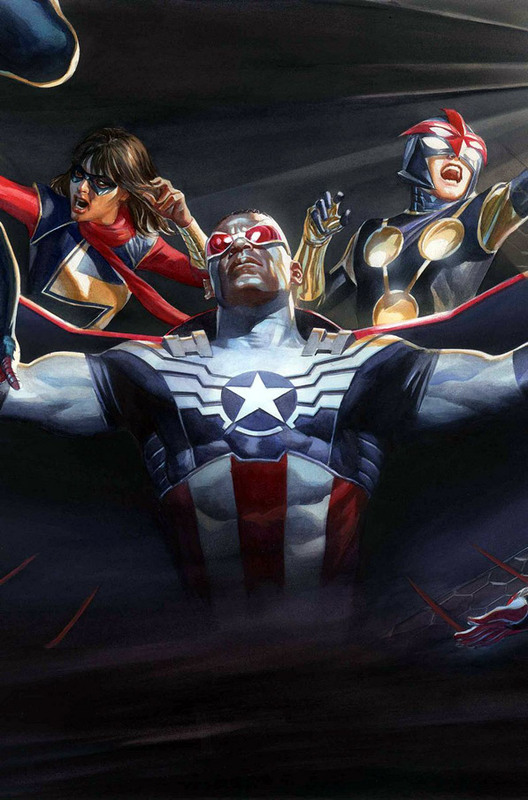 All-New, All-Different Avengers #3 came in at #18 with a sales estimate of 57,584. 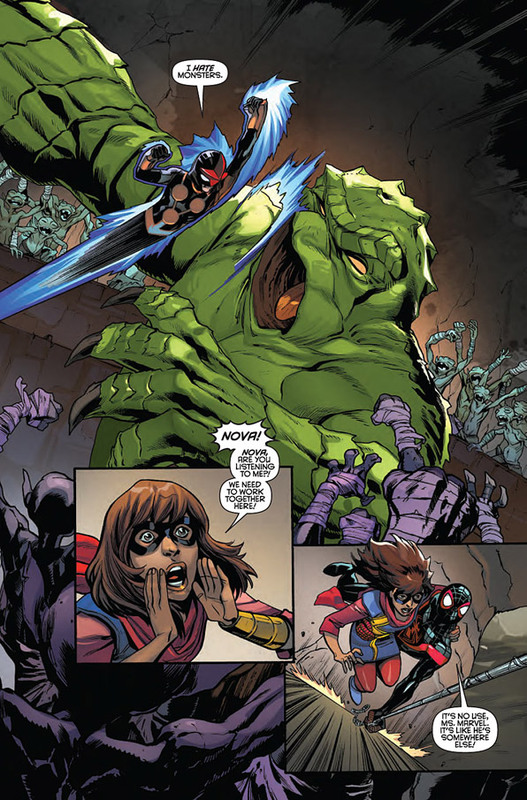 All-New, All-Different Avengers #4 came in at #19 with a sales estimate of 57,114. 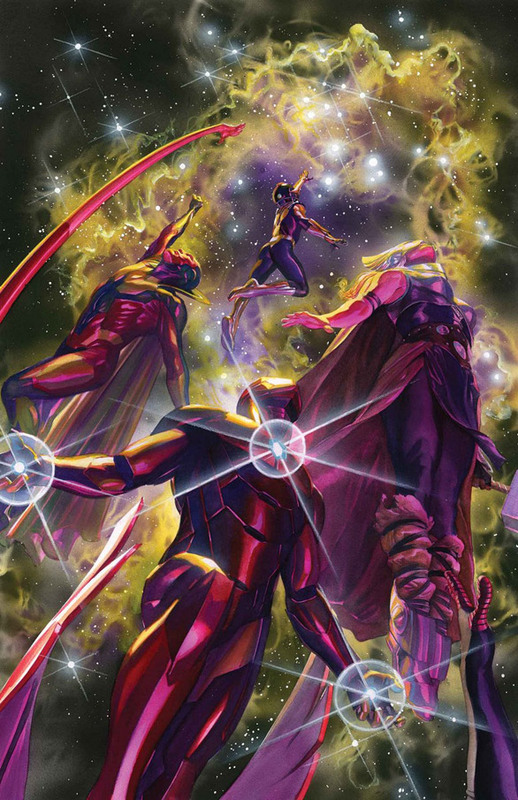 New Avengers #5 came in at #57 with a sales estimate of 33,010. 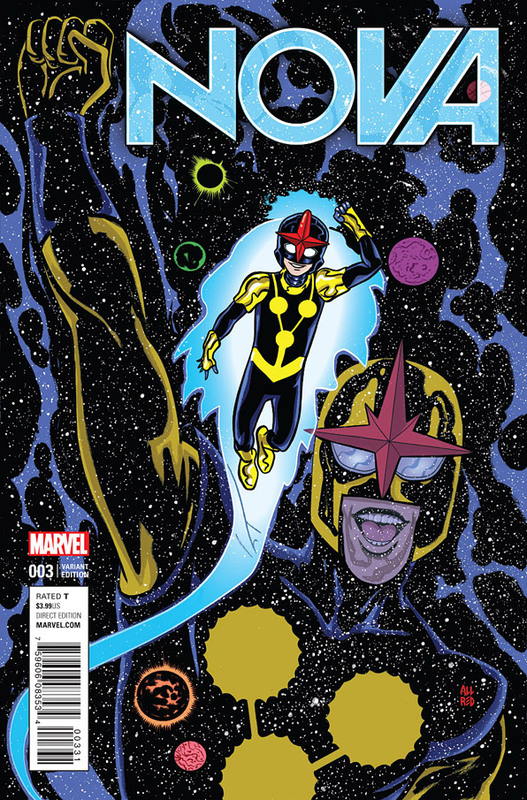 Nova #3 came in at #94 with a sales estimate of 23,464. 01/31/16 Nova #4 Cover & Preview Pages! 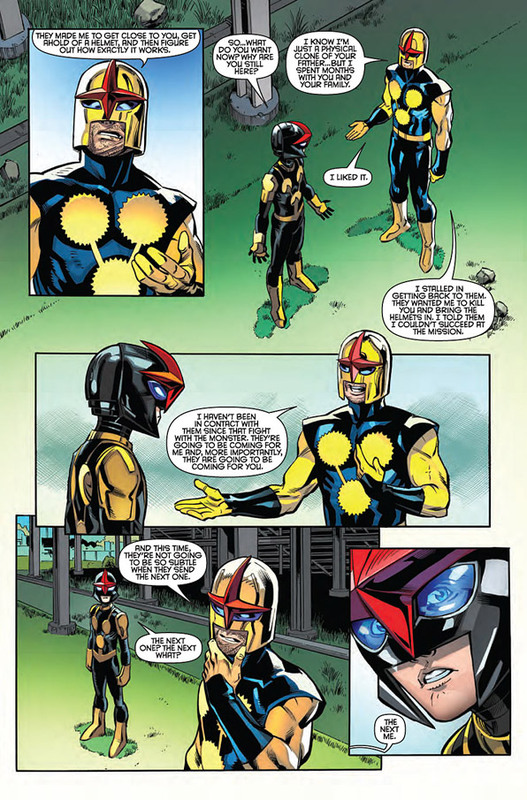 Marvel has released the cover and preview pages from Nova #4! 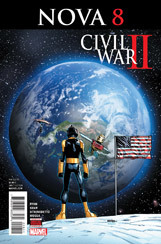 The issue is written by Sean Ryan with art by Cory Smith. 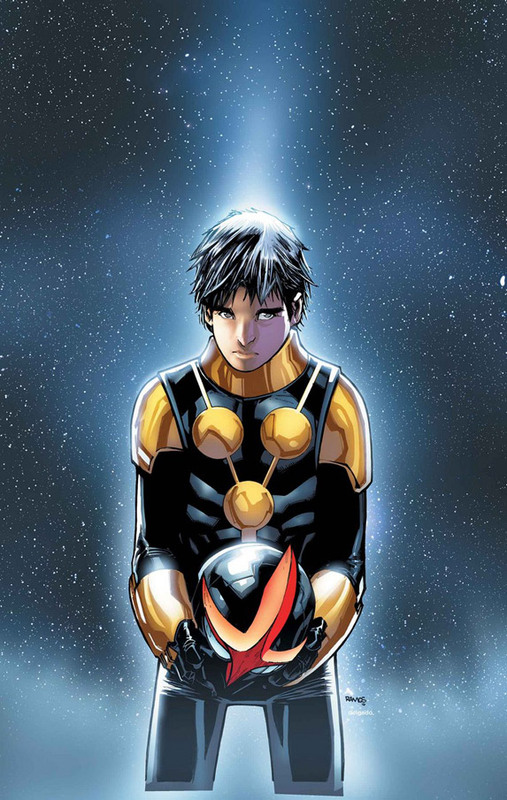 Nova #4 is scheduled to be released on February 4th. ...and it's going to send him back into space! The seeds of Nova's next cosmic adventure are planted right here! 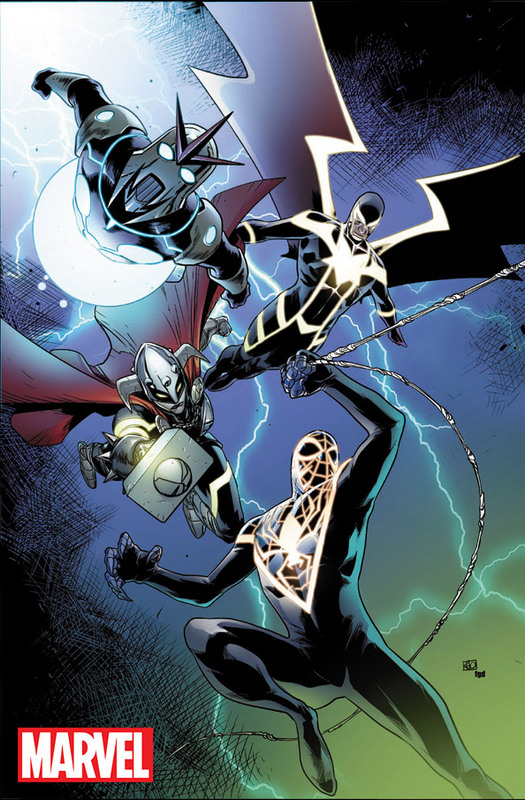 01/20/16 ANAD Avengers #8 Solicitation! Trapped in Pleasant Hill, the Avengers can't tell the heroes from the villains -- and, worse, they don't even recognize each other! How can the Avengers act like a team when they have no memory of one another? 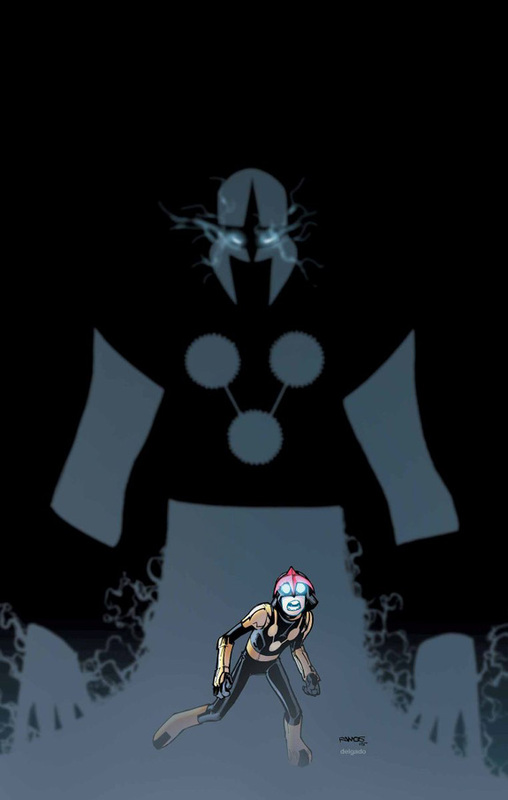 01/20/16 Silver Surfer #4 Solicitation! 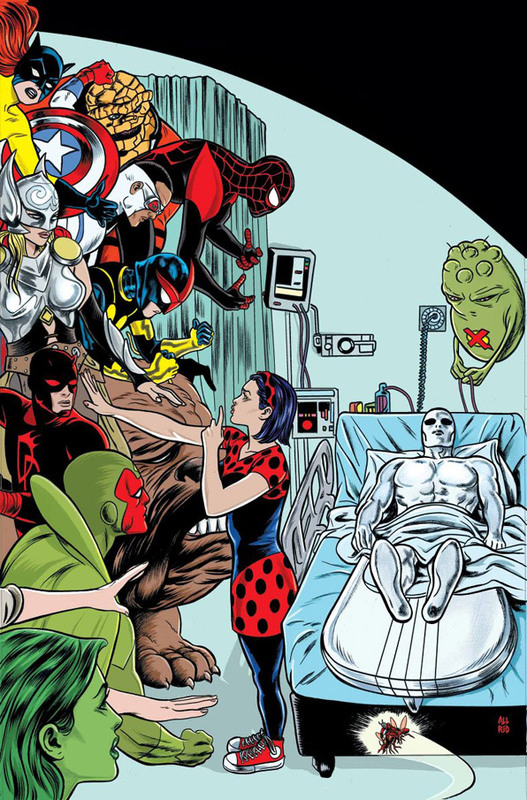 Massive fallout from the events of Silver Surfer's 50th Anniversary issue. There is a price to pay for what Norrin Radd has done. Some actions can never be taken back...or forgiven. Will any of Earth's heroes stand by the Silver Surfer's side in this, his greatest moment of need? A mythic tale in the Mighty Marvel Manner! 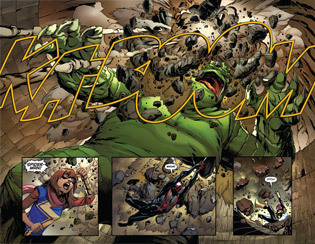 Guest starring The Avengers, The Thing and major characters from around the Marvel Universe. 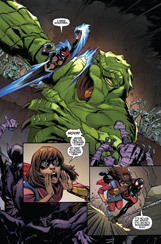 All-New, All-Different Avengers #2 came in at #23 with a sales estimate of 67,154. 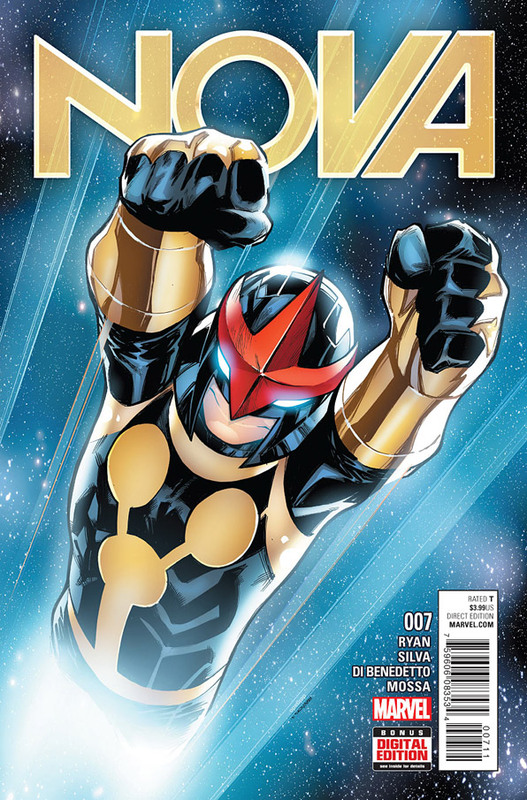 Nova #2 came in at #101 with a sales estimate of 27,120. 01/04/16 Nova #3 Covers & Preview Pages! 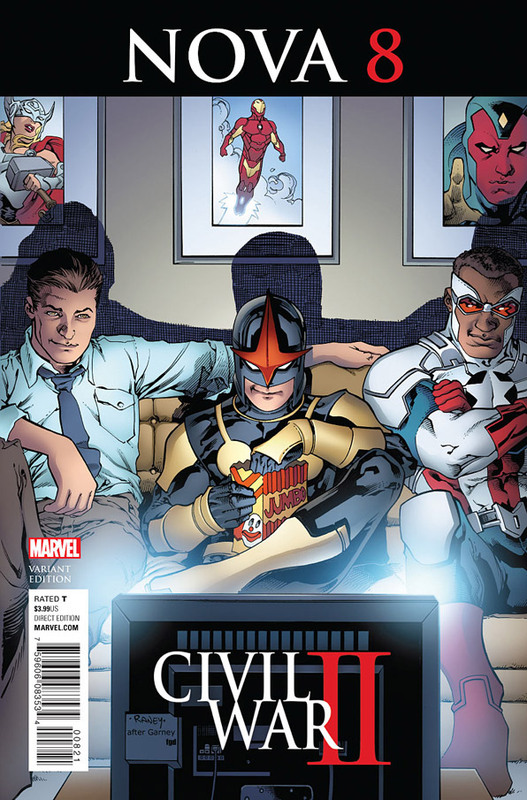 Marvel has released the covers and preview pages from Nova #3! 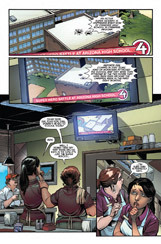 The issue is written by Sean Ryan with art by Cory Smith. 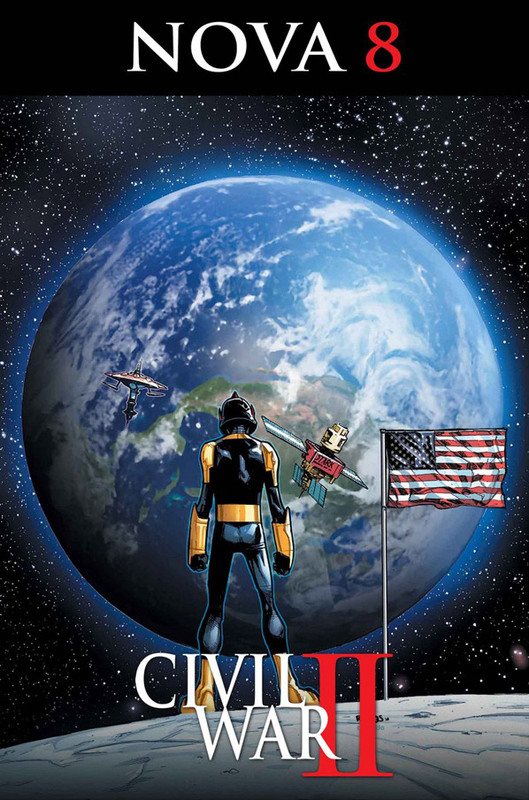 Nova #3 is scheduled to be released on January 6th. 06/29 Added We Quit image to News. 06/25 Added episode of Nova 619 to Nova 619. 06/21 Added Western Union customs to News. 06/21 Added September solicitations to News. 06/21 Added May sales info to News. 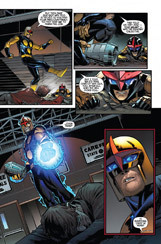 06/10 Added previews for Nova #8 to News. 06/08 Added Nova #7 summary to Nova 2015. 06/03 Added episode of Nova 619 to Nova 619. 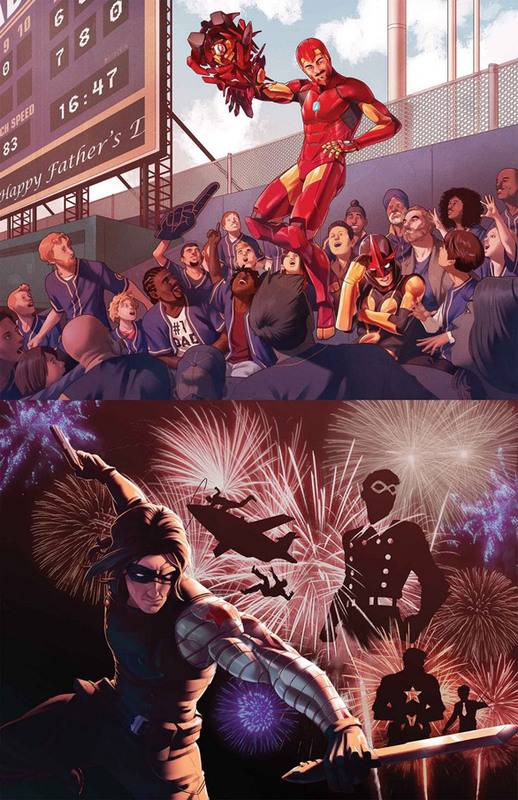 05/18 Added August solicitations to News. 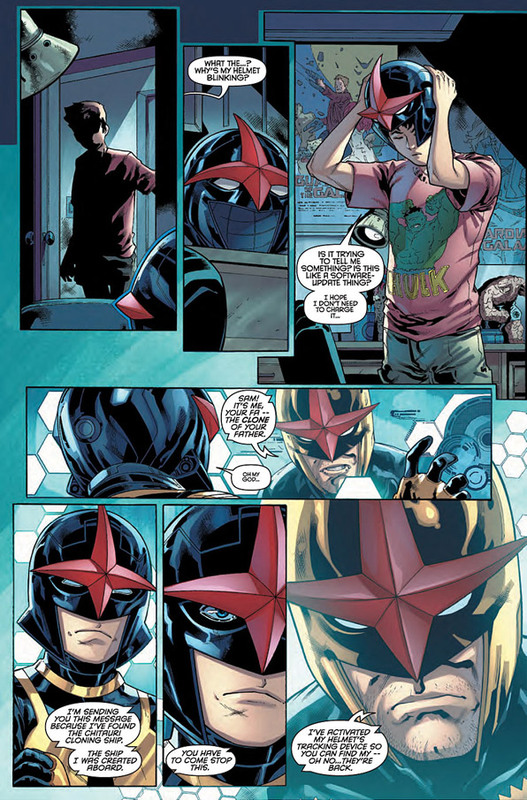 05/05 Added Nova #6 summary to Nova 2015. 04/30 Added episode of Nova 619 to Nova 619. 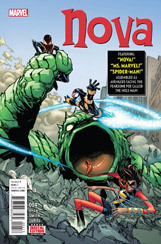 04/29 Added July solicitations to News. 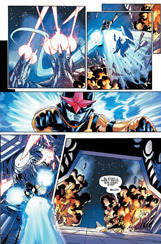 04/29 Added previews for Nova #7 to News. 04/19 Added March sales info to News. 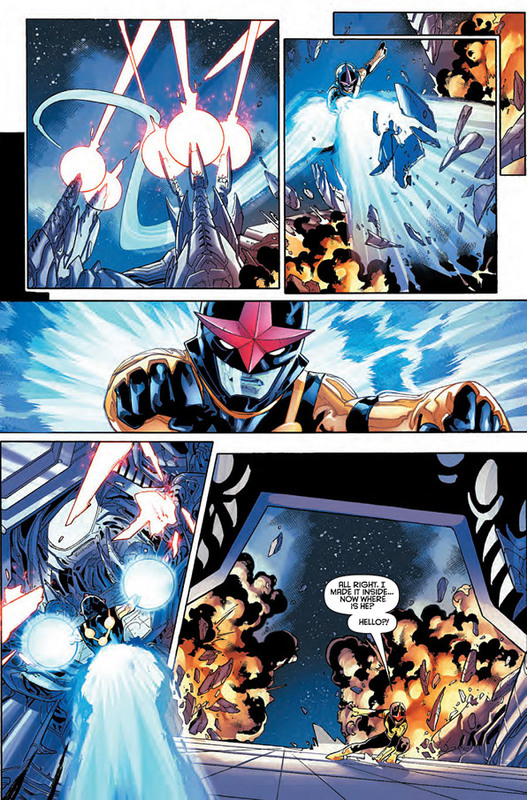 04/19 Added previews for Nova #6 to News. 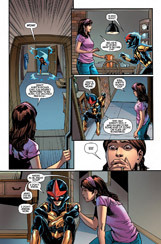 04/07 Added Nova #5 summary to Nova 2015. 04/01 Added Hot Wheels Nova car to News. 03/26 Added episode of Nova 619 to Nova 619. 03/22 Added June solicitations to News. 03/14 Added February sales info to News. 02/27 Added episode of Nova 619 to Nova 619. 02/27 Added previews for Nova #5 to News. 02/23 Added Nova #4 summary to Nova 2015. 02/16 Added May solicitations to News. 02/12 Added Knight Models Nova to News. 02/11 Added ANAD #9 variant to News. 02/10 Added January sales info to News. 02/08 Added Nova #3 summary to Nova 2015. 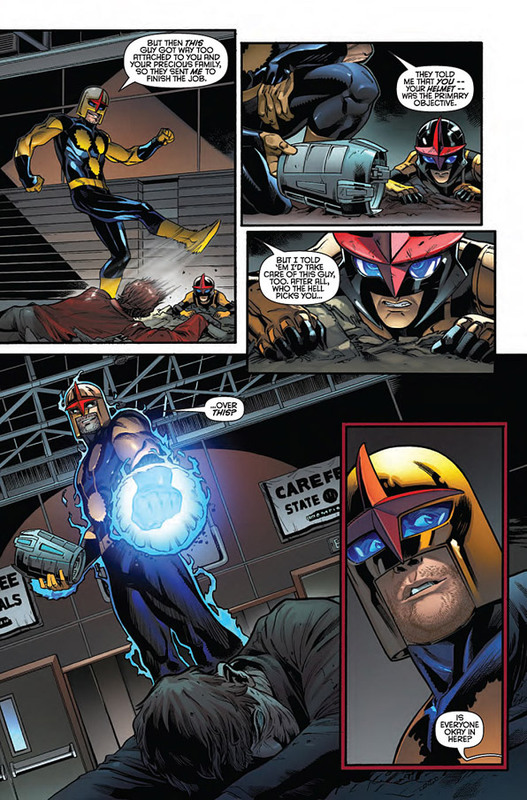 01/31 Added previews for Nova #4 to News. 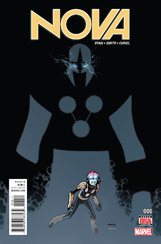 01/20 Added April solicitations to News. 01/12 Added December sales info to News. 01/04 Added previews for Nova #3 to News.